If branders and marketers have their way, that’s how the personals of the near future will read. It was a balmy summer day in July when Joe Sparano and his girlfriend Kristin Kaceric planned a picnic to celebrate the anniversary of their meeting. The couple met while working at a toy store, and as Joe describes it, they bonded over their shared love of LEGO. The very essence of what the LEGO brand stands for had initially brought Joe and Kristin together, and it was their shared passion for what they could create with colored plastic bricks that formed a bond that led to marriage. A nice story, you might say, but is there more to it than this? Did the brand play a role in helping Joe and Kristin clarify their personal values? Did their shared love of the product help them realize that they had a common view of life? 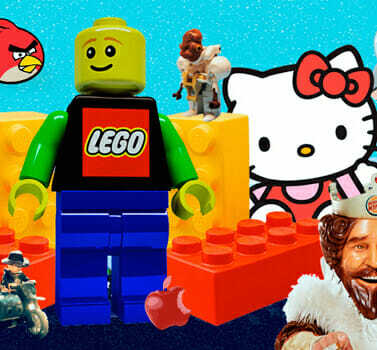 Or did LEGO merely fuel a common interest, which helped a young couple avoid awkward silences? For insight into these questions, consider Cupidtino. It’s a dating website with a difference. The name is an amalgamation of Cupid (the god of love) and Cupertino (the California town where Apple, the god of tech, has its headquarters). On the opening page of their site, Cupidtino explains its raison d’être: “Diehard Mac & Apple fans often have a lot in common – personalities, creative, professions, a similar sense of style and aesthetics, taste, and a love for technology.” They boldly assert, “We believe these are enough fundamental reasons for two people to meet and fall in love.” They may very well be on to something. Brands are currently expanding their roles into every aspect of our lives–Armani is now in the hotel business, and Hello Kitty has its name on everything from vibrators to condoms to handbags to tooth caps. Brands have created perfectly defined universes with values and purpose, so much so that they’re not only influencing what we buy, but are also making inroads into how we behave. A few years back, the results of a study conducted to determine if brand exposure motivates behavior was published in the Journal of Consumer Research. The researchers determined that when primed with the Apple logo, respondents did indeed think different, and became more creative than when exposed to the IBM logo. Similarly, in a paper published by Psychological Science, Zhong and DeVoe flashed fast-food images in front of one group of participants. The second group was exposed to neutral images. The fast-food group were spurred on, reading a 320-word passage a full 15 seconds faster than the neutral group. Could it be that the brands that surround us will soon represent more than just a way to navigate through the clutter of endless commercial offers, and will serve as a statement of who we are, who our friends are, and as in the case of LEGO and Cupidtino, who we’ll romantically connect with? I interviewed 30 Hello Kitty fans for my latest book Brandwashed. What I learned was that most of the girls (each one the proud owner of more than 500 pieces of Hello Kitty merchandise) had one thing in common: they received their first Hello Kitty piece from their father when they were around six years old. Those that had boyfriends all revealed their Hello Kitty passion at the outset of the relationship, because if it came down to the boy or the brand, well, the brand came first. This is not just pie-in-the-sky stuff. Just look at romantic aspirations detailed on any dating website. It’s a fact that with just six 8-stud LEGO bricks you can build over 102 million combinations, so imagine what awaits you in a world of around 25 million brands. If each brand represents its own spectrum of values, dreams, aspirations and desires, there are enough possibilities and combinations to find at least a billion connections. It might just come to pass that the collection of brands we have in our home will lead us to people who share the same brand combinations. As the future stretches ahead, we might very well find that it is brands that are instrumental in connecting us to others in the most profound ways.